We are uber excited to welcome J.M. Kelley to the blog today! She has graced us with her presence and knowledge about how to make characters believable! Making your characters believable—that is a battle most authors can sympathize with, isn’t it? I have quite a few techniques I rely on, in that eternal quest for realism. Some are easier than others. The simplest method I use is to pay close attention to the dialogue. The best way to sell a character is with his or her words. Speechifying is a trap it doesn’t take much to fall into. Cut the description, and let the characters tell it like it is. That…just doesn’t work. And believe me, I fall into that trap, myself. Thank goodness for second and third rounds of editing, because when I catch myself using the speechify approach, I want to cringe. Also, keep in mind that natural speech isn’t smooth. It doesn’t flow like a gentle river. We stutter, stammer, fumble and choke on words. It is very important to remember that a realistic character shouldn’t always have the perfect response every time. But, that’s just one aspect of keeping your characters real. There are a few golden rules I try to adhere to when developing my characters, and I’d like to share a few of my favorite rules with you. It is tempting to create the Perfect Man or the Perfect Woman. Think about how much writing time you save by having your heroine drawn to a man who can do no wrong. But, that’s pretty boring. So, in my world, I work hard to keep my characters flawed, without them being broken or unredeemable. In my first novel, Drew in Blue, Drew was a bit of a self-absorbed schmuck, emotionally stunted, and not very sociable. His redemption comes in the form of a son—his first experience with unconditional love. With that new experience, Drew finds his place in the world, and grows into a wonderful father. In Daddy’s Girl, Janie is stand-offish, can be rude, speaks without thinking, and is really good at alienating the people around her. Problem is, she’s been hurt a few times, so her flaws are really just a way to shield a delicate heart. David, however, might be just the guy, despite his own flaws, to break down her walls . 2. Real People Are Dumb. They say and do some pretty stupid things. Conflict doesn’t always have to be carefully plotted and placed in just the right place. Sometimes, depending on the story you are telling, saying the wrong thing at the wrong time can set off fireworks. Granted, one must find a way to deliver this in a manner that keeps the reader hooked, but conflict can be subtle. In Daddy’s Girl, conflict doesn’t always need to be high drama. Life is stressful in the McGee house, what with Joe’s illness, and the unexpected sexual tension between Janie and David. And life on the fringe of McGee family dynamics can fray David’s nerves as well. Sometimes, all it can take is an ill-timed remark to start a war. 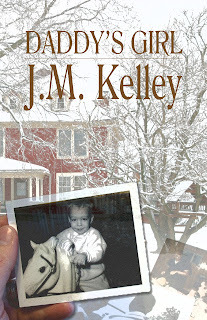 And sometimes, in David and Janie’s world, all it takes is a shovelful of snow…. 3. Real People Have Weird Taste in Mates. I’m sure we can all look back at our own dating history and nod emphatically at this statement. We are drawn to people that don’t always make sense. Our friends don’t see what we see and ask what we’re thinking. Our fathers want to break out the shotgun. Our mothers pray we’ll come to our senses. In romance, though, the Opposites Attract rule is nearly an imperative. This is where we get the drama, the excitement, and that sense of reality. The good girl and the bad boy. The bad girl and the bookish boy. The rocker and the librarian. The cop and the jewel thief. We want to know what life is like on the other side of the fence. Is the grass greener? Is life more exciting over there? It’s a natural point of curiosity, and it’s a rock solid theme to use in a romance. So, there you have it. Obviously, the rules I’ve shared don’t cover all the bases, but I believe remembering points like these are a good basis for tackling the problem of keeping your characters believable. The easiest thing, however, is to pay attention to the people around you. You have an enormous cast of characters milling about you every day of your life. Observe. Listen. Take notes. The world around you will always be the best teacher you could ever hope for. Thank you again J.M. for joining us and sharing your knowledge! Janie McGee, the black sheep of her family, is free-spirited, uninhibited, and never one to stay in the same place for too long. 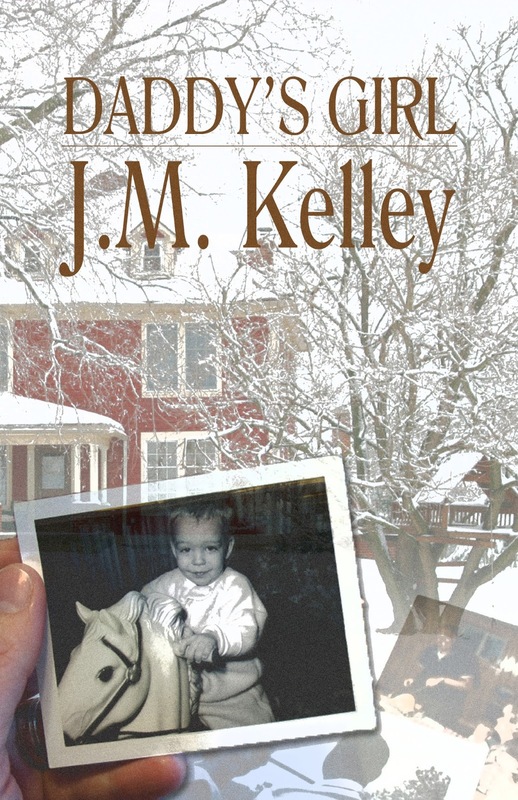 When Janie learns her father, Joe, is gravely ill, she reluctantly returns home to rural Pennsylvania to care for him. Joe’s neighbor, David Harris, sports a pocket protector, collects coins, and is addicted to Antiques Roadshow. Everything about him rubs Janie the wrong way, from his nerdy wardrobe to his enviable friendship with Joe. And to make matters worse, her father thinks they’re perfect for each other, proof positive of how little Joe knows his own daughter…or so Janie thinks. A shared devotion to the elder McGee begins to close the gulf between Janie and David, but a burgeoning romance opens the door to new problems and unexpected consequences neither could foresee. Joe, however, remains steadfast in his resolve to show Janie that Daddy knows what’s best for his little girl. Can Janie finally open her heart to David while watching the first man she ever truly loved fade away? Before you venture on the journey to read Daddy's Girl, make sure you have a box of tissues nearby and are ready to laugh and cry, sometimes all at once. I will readily admit the subject matter may be touchy for some, but I would recommend Daddy's Girl to just about anyone at any time. Janie and David are a unique couple. It is rare to read about the man being the bookworm, OCD, neat freak and the woman being more carefree and spontaneous. They were really well matched. Then you get the drama of the McGee family and dealing with Janie's dad, Joe, and his terminal illness. As Janie tries to hold steady that this is not the right time for love, she can't turn David away completely. 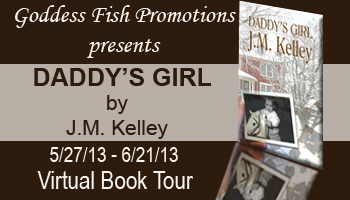 Every character is Daddy's Girl is so realistic that you know someone just like them, heck maybe it's even you. If you are a Daddy's Girl, like me, this story will really hit home because we never want the first man in our lives to go away. There are so many emotions and relationships to heal and grow that this is a story that will tear you apart and lift your spirits. A highly recommended read ~ especially when you need an excuse to cry! J.M. 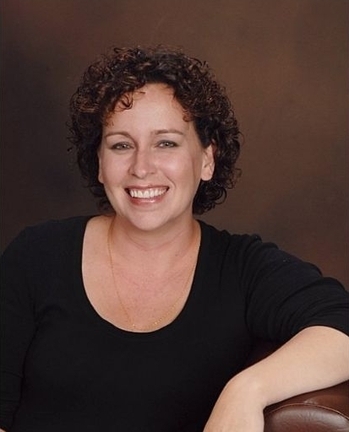 Kelley is a proud recipient of a Carrie McCray Memorial Literary award, and is a member of The South Carolina Writers Workshop and Romance Writers of America (PAN). Readers interested in more information may visit her website at www.jmkelleywrites.com. J.M. will be awarding a gift basket of some of the author's favorite things, including a $25 gift card from Amazon and a signed copy of the Foreign Affairs anthology from Turquoise Morning Press to a randomly drawn commenter during the tour. Disclaimer: I received a copy of the book from the author / publisher in exchange for my honest review and participation in a virtual book tour event hosted by Goddess Fish Promotions. Reading through the rules I found myself nodding. We are all imperfect, so the traits that we find in real life we should find in the characters we read about. Thanks so much for hosting, and for the kind review. I really appreciate you taking the time to read and share your thoughts! There is always someone out there for someone..only catch is if you find them... Thank you for the terrific giveaway opportunity. Thanks for the giveaway! Loved the excerpt! Love the Golden Rules, so true. This book has such an interesting storyline and I would love to read it. I have yet to read a book by this author, thanks for the chance to win. Well, it’s Friday. Had fun following you around this week and looking forward to more good stuff next week. Have a great weekend! Sounds like a great read. Adding it to my read list. Those are actually some really great thoughts. Particularly the real people are dumb. They sure as heck are :P Thanks for sharing the guest post! Sounds like a great book. Thanks for the review and giveaway! Thanks to everyone who stopped by. Have a great weekend, and see you next week on the tour!